Carl Clarino was 79 when he passed away Sunday, August 20th. Born and raised in Jersey City, Carl was a resident of New Milford since 1973. He proudly served in the United States Army as a Paratrooper with the 8th Airborne Division from 1956 to 1959. Carl worked as an Ironworker with Local 45, Jersey City, from 1968 to 2001. An accomplished 8th degree Black Belt Master of Isshinryu Karate, he was inducted into the American Okinawan Karate Association Martial Arts Hall of Fame in 2017. Carl was also a loyal member of the Mosaic Lodge #194, Ridgefield Park, of Free & Accepted Masons. 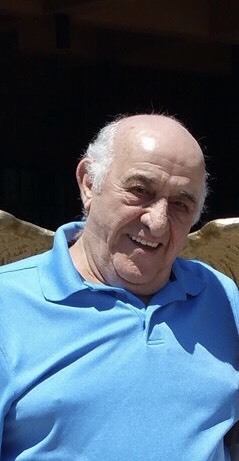 He is survived by his beloved wife of 50 years Mickey (nee Viola) Clarino, his loving son Carl Clarino and his wife Marisa, his cherished grandchildren Salvatore and Carly, and his dear sister Nancy Schiffermiller. Carl was predeceased by his brother the late Patrick Clarino and his late sister Marie Campisano. A memorial visitation will be held Saturday from 12 noon until 2pm in the funeral home. A Masonic service will be offered at 1pm. In lieu of flowers donations may be made in his memory to the New Milford Volunteer Ambulance Corps @ www.newmilfordems.org.